Key Feature #2. 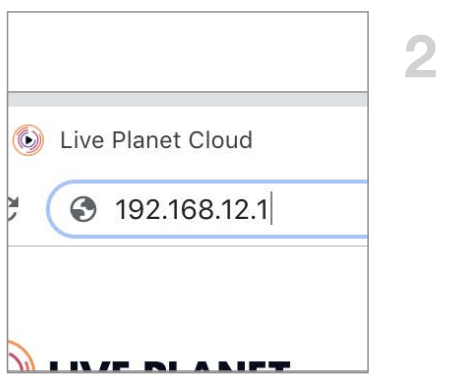 Connect to the camera through your browser to make image adjustments + preview your camera’s live feed on a large screen. 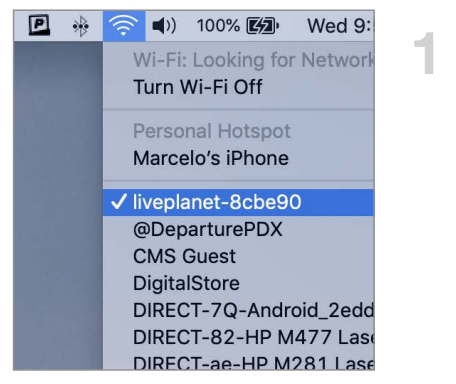 Step 1: Connect your laptop to Camera WiFi (liveplanet-xxxxxx). Stay within 15 feet of the camera. 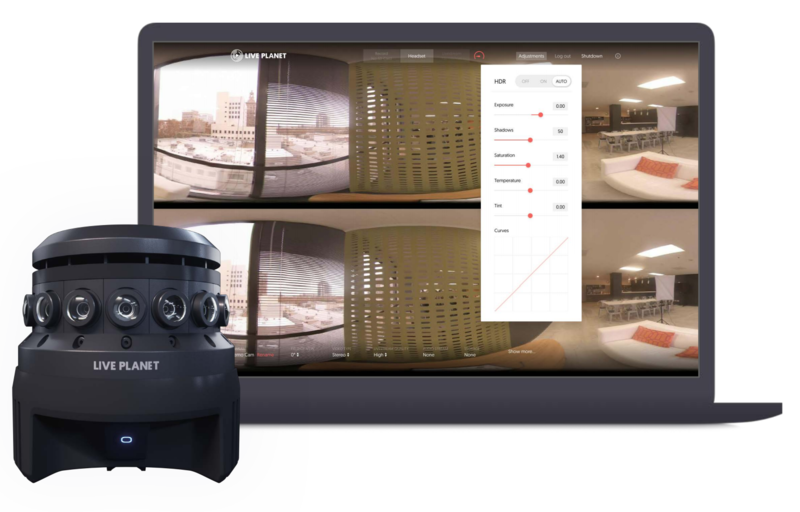 Step 2: Then type 192.168.12.1 from Safari or Chrome browser to launch camera software. 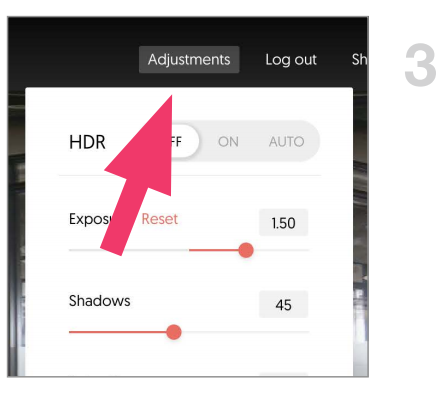 Step 3: Click on Adjustments at the top right to make any image adjustments as you watch live preview on the big screen.